This beautiful piece of furniture is imported directly from Italy. 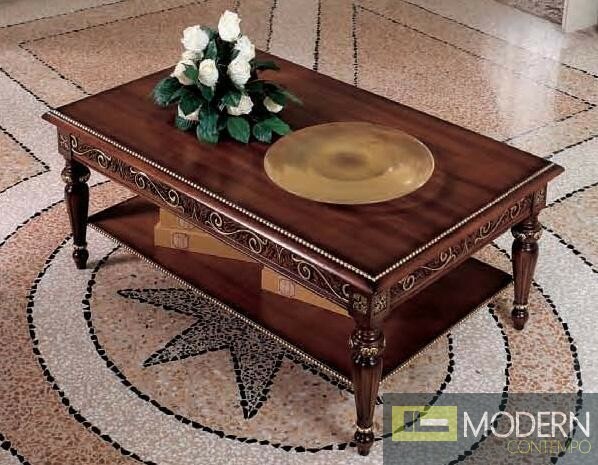 The stylish, traditional coffee table is constructed of attractive, dark walnut hardwood and has golden accents and wood carving throughout. The storage area underneath the tabletop provides a convenient place to put your accessories. W47.2" x D29.5" x H19.7"